Streaming out from the centre of the galaxy M87 like a cosmic searchlight is one of nature's most amazing phenomena, a black-hole-powered jet of electrons and other sub-atomic particles traveling at nearly the speed of light. 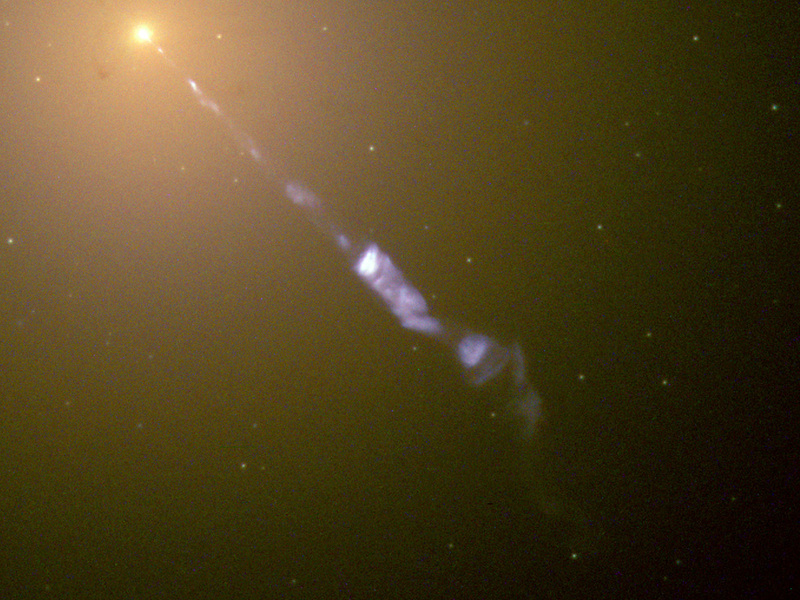 In this Hubble telescope image, the blue jet contrasts with the yellow glow from the combined light of billions of unseen stars and the yellow, point-like clusters of stars that make up this galaxy. 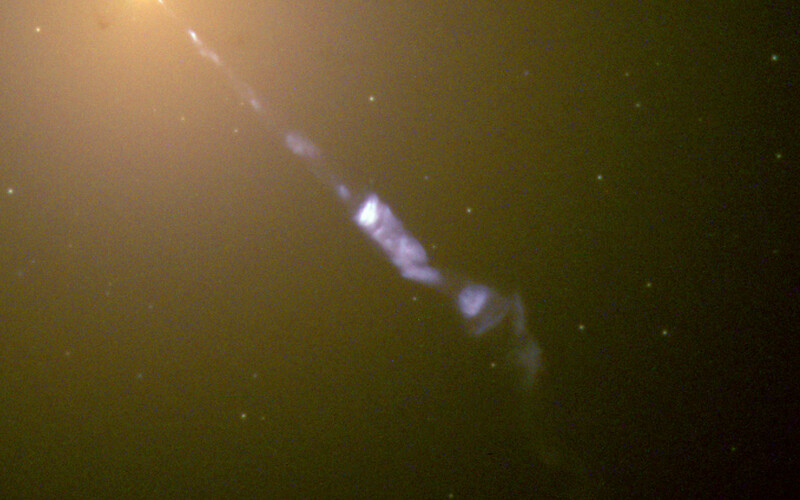 Lying at the centre of M87, the monstrous black hole has swallowed up matter equal to 2 billion times our Sun's mass. 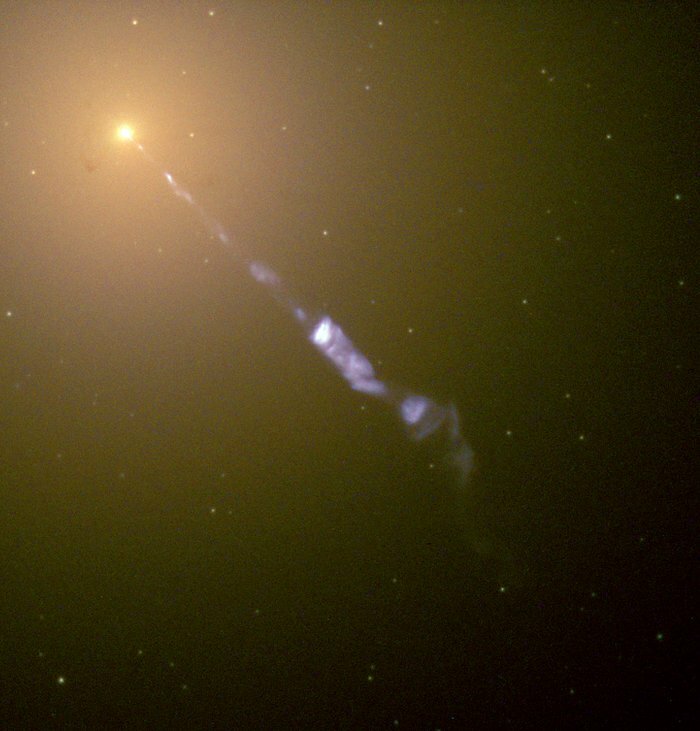 M87 is 50 million light-years from Earth. Position (Dec): 12° 23' 32.89"